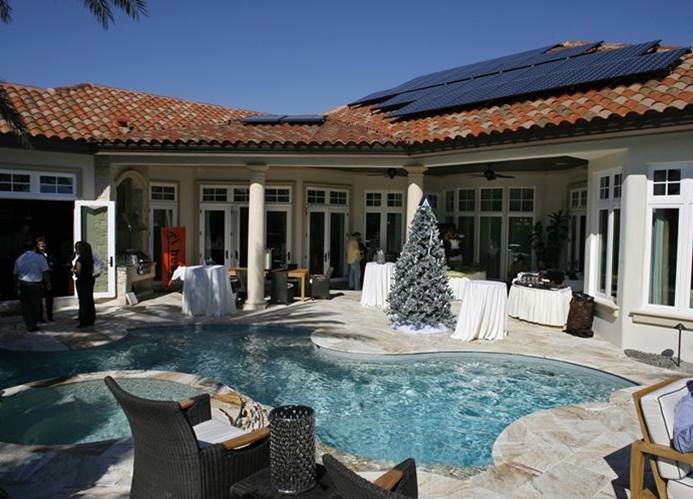 There is growing interest in creating beautiful, timeless, homes that are also sustainable. 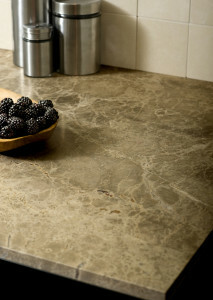 In today’s marketplace, with many materials and design options fighting for your attention, natural stone stands out as the perfect choice for meeting all of your needs while also enhancing the sustainability of your home. Natural stone is versatile enough to achieve the aesthetic, performance, and cost goals on both the exterior and interior of your home over the long term. Sustainable design focuses on increasing the efficiency of resource use — energy, water, and materials — while reducing a building’s impacts on human health and the environment throughout the building’s life cycle. Designing and constructing buildings in an environmentally-friendly manner requires careful thought and planning at the outset of the project. However, the paybacks from building green far outweigh the time and resources spent. Equipped with the knowledge of what makes stone sustainable, you can make the best choices for selecting, installing, and maintaining natural stone. Choosing natural stone demonstrates that you take responsibility to care for the Earth by actively striving to preserve, restore, or improve the natural environment. 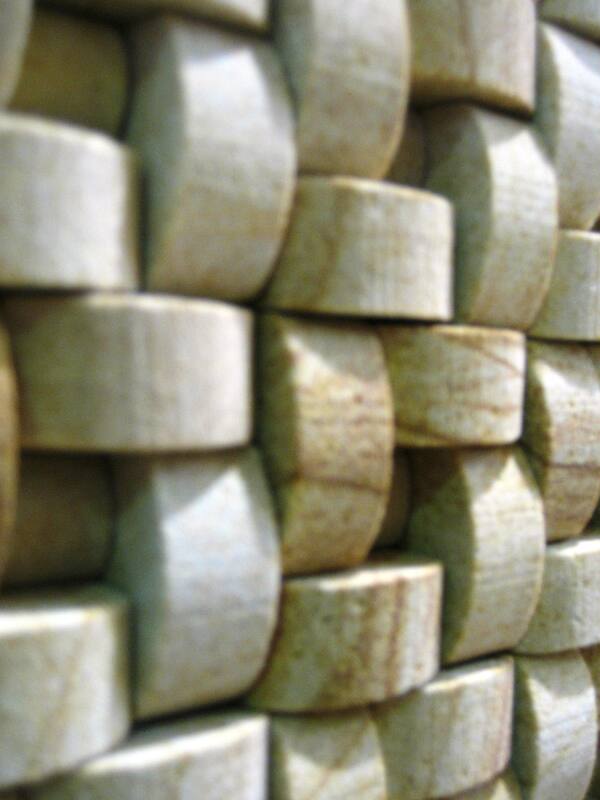 So, what makes stone sustainable? 1. Stone is a natural material. 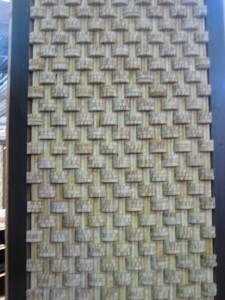 Stone is a natural product of the Earth, the original green building material. It does not require other materials or resources to create it. There is an abundant supply with different veining, textures, colors, shapes, and technical characteristics that make it possible for stone to be used in a wide range of applications. 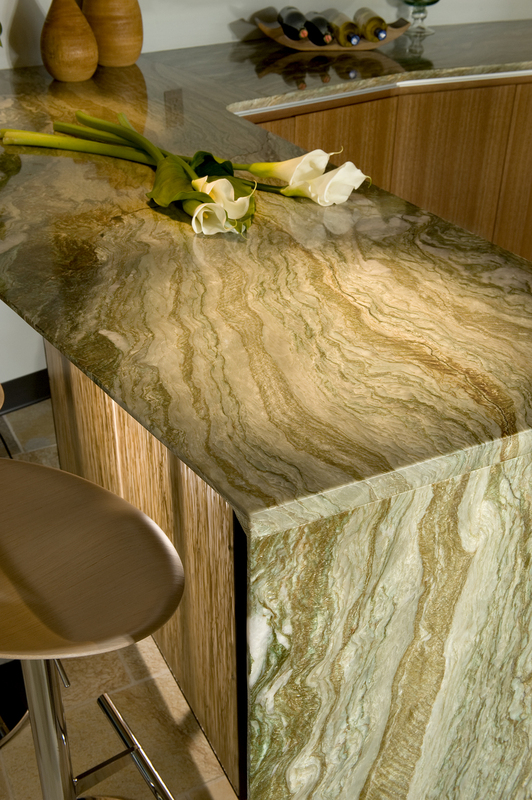 Stone’s varying appearance is the result of millions of years of geologic change and mineral composition. Natural stone contains no harmful chemicals or toxins, so you can be rest assured that your interior environment will be healthy, an important component of sustainable design. Stone is also available regionally and locally. Regionally manufactured and extracted materials reduce environmental impacts by reducing emissions of greenhouse gasses during transportation of the materials. 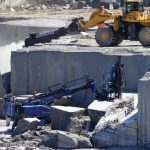 Fortunately for environmentally conscious consumers, there are stone quarry sites within 500 miles of nearly any building site in the United States and Canada. A vein-cut travertine was used on the exterior loggia and the interior living room and bathroom of this home is an aesthetically pleasing, healthy, and durable design choice. Photos courtesy of Marc Guttenberg Homes. 2. Stone is very durable. Stone stands the test of time, which means the choice to use natural stone will only enhance the value of your home while reducing the need to replace materials over a longer period of time. Stones such as slate, limestone, travertine, and granite will all age beautifully and gracefully, providing years of use and enjoyment. Stone can easily stand up to high traffic and use in areas such as courtyards, foyers, kitchens, and baths and may be designed to last for 50 or even 100 years. Durability is especially important when choosing sustainable materials so that resources aren’t used to create new materials as often. When you compare materials, consider them from a life-cycle cost perspective. Even if the stone is more expensive initially, it will more than pay for itself and reduce future costs compared to other materials that need to be repaired or replaced frequently. 3. Stone offers ease of care and maintenance. If maintained properly, stone will last for years and reward you with its beauty. There are a wide range of fabrication options and finishes that can be applied to natural stone that will also enhance its performance, including extending its life, resisting weather and wear and tear, or making the stone more slip resistant. Most stones can simply be cleaned with a mild dish soap and water. 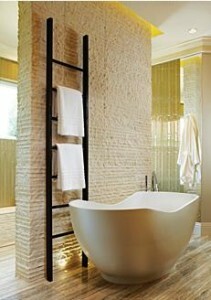 There are also cleaners made specifically for natural stone that are affordable and easy to use. Many of these cleaners are approved to meet sustainability standards, which means they contain no harmful chemicals and won’t pollute the environment. For more information about caring for stone, visit www.naturalstoneinstitute.org/consumers/care. The natural grain and beauty of these stone countertop installations are functional works of art while also being easy to maintain. Photos courtesy of Charles Luck Stone. Stone is completely recyclable and has the potential to serve many different uses and purposes over its lifetime. Salvaging and recycling stone is a very viable option and a sustainable way to ensure that the useful life of the material will be lived out to its fullest. Environmentally, utilizing recycled stone can eliminate the energy, water, and other resources needed to generate new products from virgin or raw material sources, ultimately reducing or avoiding impacts to ecosystems and resource supplies. There are many potential uses and applications for recycled and salvaged stone. For instance, an old stone building can be disassembled and the stone reformed or refinished for use as paving materials, retaining walls, or an exterior facade. 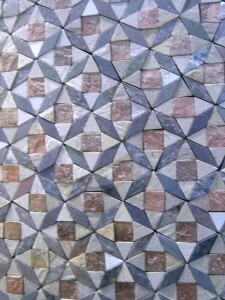 Small flat stones can be repurposed and strategically designed to create a mosaic floor or wall design. 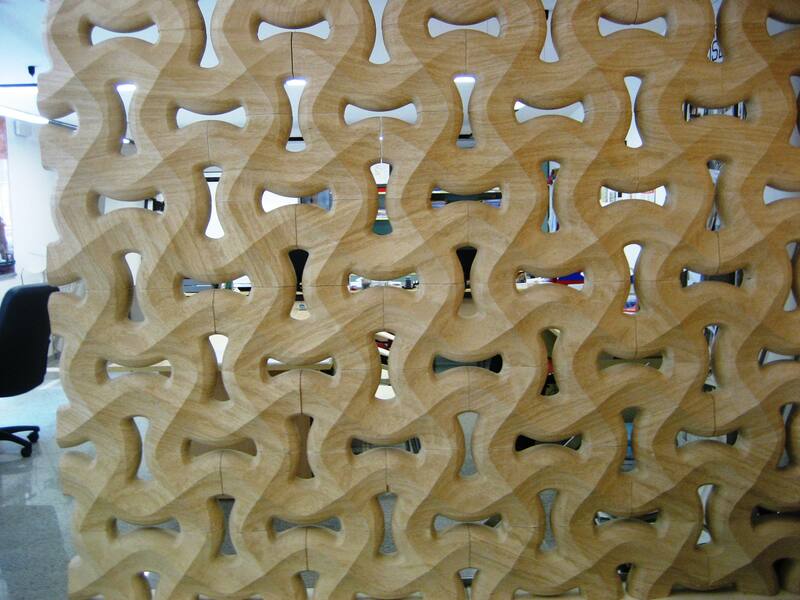 Stone fragments can also be adhered together to create a completely new design or appearance. 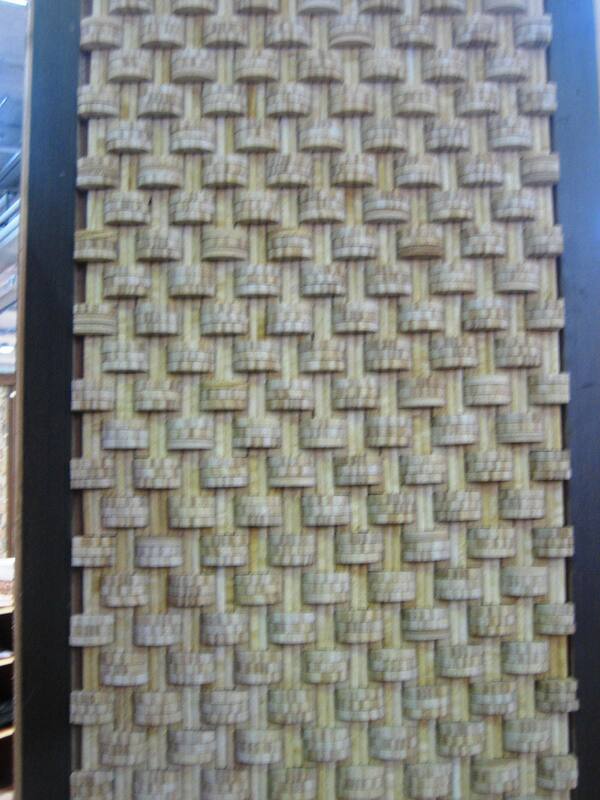 These materials can also provide a sense of history or nostalgia in a home. Visit your local stone fabricator or stone showroom to find out if there are sources of stone scraps or byproducts available from the manufacturing process that can be incorporated into your design. These options create new possibilities for natural stone while also ensuring that the materials don’t end up in a landfill. 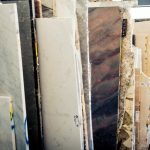 There are designers and installers that specialize in locating and installing recycled stone and could provide you with the source of stone you are seeking as well as the knowledge required to repurpose the material. 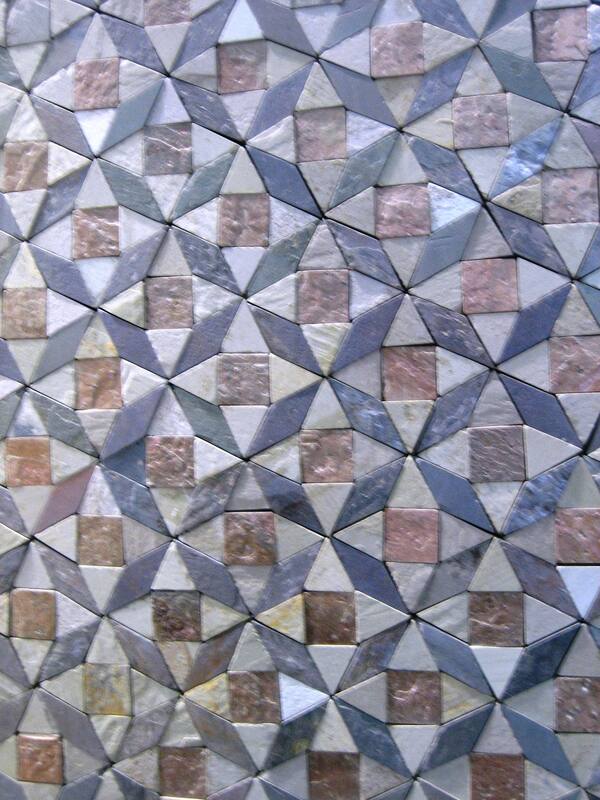 These designs are the result of using stone scraps from the fabrication process, resulting in a new aesthetic while also reducing waste. Photos courtesy of Stephanie Vierra. 5. Stone is quarried and manufactured sustainably. Advancements in technology, including improved methods of quarrying, extraction, and fabrication have led to increased options and reduced costs of stone products, making natural stone easier to use and more desirable than ever before. Conserving resources, preventing pollution, and minimizing waste are some ways the stone industry is working to be eco-friendly through practices that support sustainable design requirements. Through your selection of natural stone, you can be a part of using a material that is natural and is handled in a sustainable manner from the quarrying stage through to its installation and useful long life. 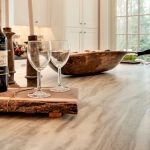 Discuss these practices and options with your stone supplier or contractor and contribute to this green practice for your modern home design elements. 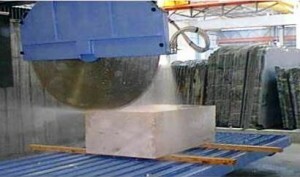 Left: The use of computer numerically controlled (CNC) machinery improves the accuracy and efficiency of the stone cut, while also saving time and resources. 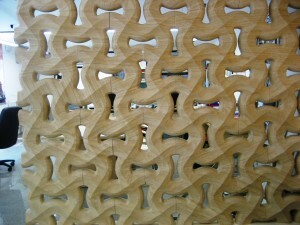 Right: This beautiful wall screen was designed and fabricated through the use of CNC machinery. Photos courtesy of Stephanie Vierra. Sustainable design is here to stay. 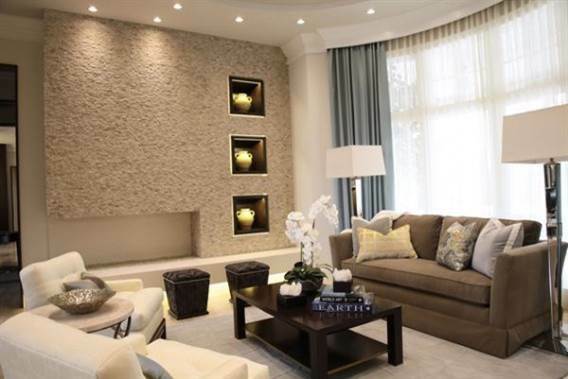 Designing with natural stone for a home presents an exciting array of options. The choice to design with natural stone is a very personal one, but sustainability should be taken into consideration to help with the decision making process. Talk to an experienced stone professional about your goals and the specific needs for your project so that you can make the most sustainable choice, one that you will also enjoy for many years to come.